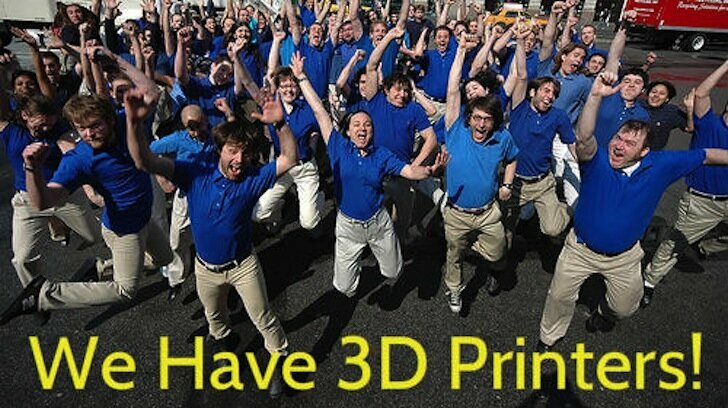 We’ve mentioned before that 2013 will be a big year for 3D printing. That was no exaggeration: More and more materials are becoming available and being developed, including flexible plastics and stone for desktop printers. The Kossel is becoming quite popular. And the new Morgan can now be purchased as a kit. The Cube is in Staples, the MakerBot Replicator 2 is in Microsoft stores, and Microsoft is including 3D printer support in Windows 8. UPS is even testing 3D printing as a service. If that’s not evidence that 3D printing has gone mainstream, I don’t know what is. Oh, wait, yes I do. Best Buy now sells the Afinia H479 online. And CDW. And Staples Canada. And B&H Photo. And Tiger Direct! That’s five MAJOR electronics retailers. 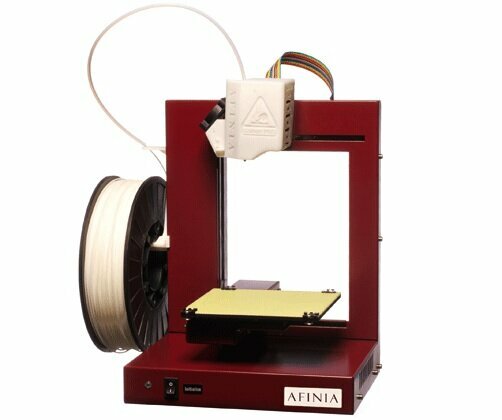 “We are pleased that these nationally-recognized companies have selected AFINIA 3D printers to be on their e-commerce sites,” says Mitch Ackmann, President of Afinia. “Consumer demand for 3D printers is growing rapidly, so makes sense that they would offer their customers our technology. “ And it’s no wonder they chose the Afinia. MAKE Magazine awarded it with Best Overall Experience in a rigorous roundup of 15 3D printers. Its ease of use is partially attributable to having its own software that slices, sets parameters, and places support material. It literally prints right out of the box. Though there are those that still believe “3D printing is a gimmick,” you don’t have to experience precognition to see that 3D printers will be on desktops right beside paper printers. And the Afinia is leading the way.